What Disney movies have sold the most tickets in the United States? You might think Frozen or a Pirates of the Caribbean movie would be high on the list, but few of Disney's recent successes can measure up to the all-time performance of the studio's biggest hits once you factor out the inflated ticket prices at today's multiplexes. In addition, prior to the popularity of home video Disney sold millions of extra tickets to its older movies by re-releasing its popular classics to theaters every seven to ten years. Accounting for inflation (with figures provided by Box Office Mojo), here are the 10 biggest ticket sellers in the United States in Disney’s history. Interestingly enough, Pinocchio was a box office disappointment upon its original release in 1940. The movie didn't turn a significant profit until its 1945 re-release, which was followed by six successful re-releases through 1992. When it was first released, Sleeping Beauty was the most expensive Disney movie ever made and the box office receipts didn't cover its high price tag. In fact, Walt Disney reportedly thought of the film as something of an embarrassment and did not approve a re-release within his lifetime. However, re-releases in 1970, 1986, and 1996 were tremendously successful. The film has had an even more successful legacy. The 2014 live-action remake, Maleficent, was told from the point of view of the villain and grossed $241.4 million in the U.S. The Jungle Book was the last animated film to be produced by Walt Disney himself — it was released ten months after his death — and unlike the previous films on this list, it was a huge success from the very beginning. Re-releases in 1978, 1984, and 1990 added to the film's significant grosses. Luckily for Disney, The Jungle Book has spawned several remakes and spinoff series, including 2016's live-action remake, which has grossed over $360 million in the U.S.
Disney's purchase of Marvel Entertainment in 2009 was seen as a smart move throughout the industry, but few realized just how lucrative of an acquisition Marvel would prove to be for Disney. The Avengers, the 2012 superhero team-up movie, shattered box office expectations and grossed over a billion dollars worldwide. In the U.S., it remains one of the top ticket-sellers ever for Disney. Though the production process of Mary Poppins was challenging (a fictionalized version of the story was made into a 2013 film titled Saving Mr. Banks), Mary Poppins was so successful upon its initial release that Walt Disney was able to use much of the profits to buy the land for what would eventually become Disney World. Subsequent re-releases added to the film's ticket sales. Mary Poppins remains one of Disney's most popular films. A musical adaptation was a big ticket seller on a Broadway and on tour, and a movie sequel, Mary Poppins Returns, was released in 2018. Walt Disney's high-concept classical music feature was groundbreaking in the presentation of high-quality audio in theatrical releases. 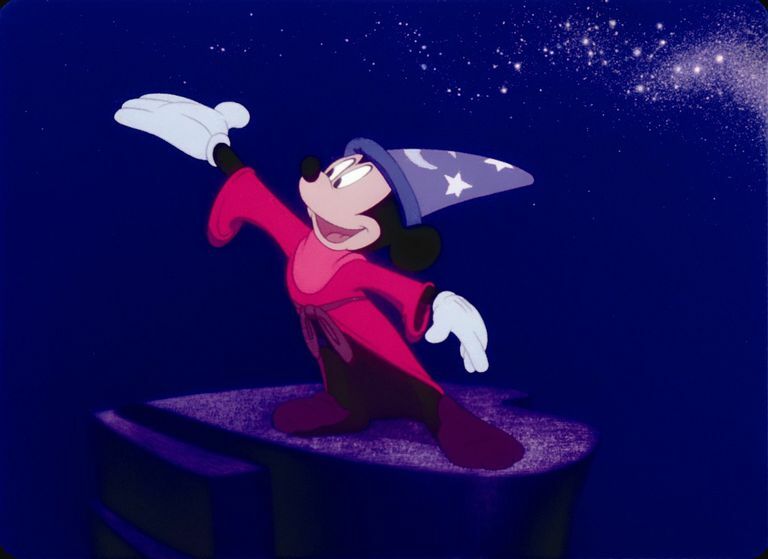 Because of the high expense of the original road show presentations of Fantasia, it is commonly believed that the movie was a financial disaster. 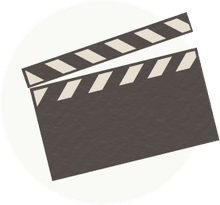 However, the general release of the film in 1942 — plus eight re-releases through 1990 — were very profitable, particularly in the late 1960s and 1970s among college students (many of whom saw the film as a psychedelic experience). Over the decades, Fantasia has sold more tickets than most of the studio's beloved animated classics. Few Disney animated films have been as financially successful in their initial release as The Lion King, which quickly became the highest-grossing animated film of all time in 1994. It is one of the last Disney films to have multiple re-releases, with an IMAX release in 2002 and a 3D release in 2011. However, no matter how successful the film has been it pales in comparison to the success of the stage musical adaptation — which is the highest-grossing stage musical ever, with worldwide grosses of over $6 billion. As The Lion King demonstrates, Disney has had plenty of success with animal movies — both live action and animated. However, 101 Dalmatians has had the luxury of multiple re-releases — 1969, 1979, 1985 and 1991 — to sell more tickets than any other animal-themed Disney movie. In particular, the 1991 release was a huge success and gave the studio the idea to release a live-action version in 1996, which was soon followed by a live-action sequel in 2000. The highest-grossing movie in U.S. box office history came about when Disney purchased Lucasfilm in 2012 and decided to continue the beloved Star Wars franchise. At this point, The Force Awakens was such a huge success — and too recent to adjust for inflation — that its grosses might actually push this film to the top of the list once the numbers are reviewed in time. For now, it sits as Disney's number two all-time ticket seller in the U.S. on Box Office Mojo's official chart. Few in Hollywood believed in Walt Disney when he announced his intention of making a full-length animated film. However, upon its release Snow White and the Seven Dwarfs became a cultural juggernaut and was soon the highest-grossing sound film of all time. It was such a success that Disney re-released the film in 1944 to help fund the studio while Disney devoted nearly all of its resources to the U.S. war efforts. The re-release was so successful that Snow White was released in theaters seven more times from 1952 to 1993, earning millions with each re-release. There's no denying that a large portion of the Disney empire was built on the success of Snow White and the Seven Dwarfs, which has earned an estimated $1.8 billion worldwide in today's money. Even if the experts determine that The Force Awakens is truly Disney's box office champ, there's no shame for a nearly 80-year-old movie to be a close number two.